Today, the avid use of mobile, wireless, handheld devices has smartly outnumbered computers by more than three to one. This ratio clearly points out the requirement of optimizing your site for mobile viewing and interaction, so that you can maintain your valuable customers and traffic. 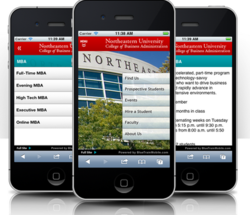 We take your site to the countless screens of smart and mobile phones. Give your website a high conversion potential with our web design services. We design website that look beautiful and are responsive on all digital devices. Our team builds customized web designs for every client. They ensure that your website is the best sales medium, one that resonates with every visitor. order to be accessible and engaging for all type of website visitors. Web designing is an art! Your website design shows your business insight. A well known saying is “First impression is the lasting one. In web technologies, your website is the first entity that interacts with the visitor, so your website should speak itself! Website design is a different creative process than designing a brand or a brochure. The fastest and easiest way to build a great looking mobile website in minutes with the features like hosting, site analytics, click-to-call and mobile maps and many more. So, we create customized mobile websites and mobile apps for publishers and businesses that work across Smartphone and tablets. So, get your website a mobile look. A business website is the first gateway between the company and its audience. It gives the first impression of your company to the audience and is very important to come up with a responsive website design that is highly liked by the target audience. Socialsoft4u gets that deal signed for you instantly. Designing for the Mobile is different. Economy needs to be maximized and experience needs to be quick and comprehensive. We have got better at designing for mobile, by designing tonnes of mobile websites over the past year. Silicon Web Solutions uses a combination of .Net, PHP, Active Server Pages, SQL Server and straight web design to create pages that work in almost every browser and are more efficient to develop. 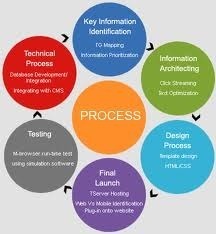 When we integrate this technology into your web site, you gain significant benefits over conventional technology. We are offering Mobile Website Designing to our valuable customer.